Not long ago I saw something on social media that had a particularly troubling effect on me as a fellow follower of Jesus. Of course, we see deeply disturbing things on social media everyday. Things that trouble us not only as Christians but, for crying out loud, as fellow humans. Things much more troubling than what I’m about to share with you today. I may comment on those things and cry out to God about those things but I’d less likely write a blog post about them. Other voices are more qualified. My concerns and the kinds of things I write about are more inclined toward matters involving the community of believers in Christ. I love the community of faith so much. Called to discipleship, it is the focus of my life passion and has been for thirty years. I only have one small desk from which to watch our world so I miss a lot but, among the things in my eyeshot, I see so much cause for praise. So much good. I see stirrings of revival. Outbreaks of evangelism. Demands for justice. I don’t know how anybody truly awake in the believing world could claim that nothing good is happening in Christianity. But the reason I’m writing today is that I’m seeing a burgeoning trend out there that is toxic, dangerous, and slanderous. Nothing about it carries the scent of Christ. It’s a witch hunt. Only, instead of witches, it’s heretics and false teachers. I’ve been watching the witch hunt for several years and seen the usual targets and been one of the usual targets. The lists are growing by leaps and bounds and list-makers are proudly joining ranks. This is part of our brave, new world. And everybody’s game, especially anybody vaguely outspoken. An addition was made to the list here recently that was so absurd that it would have been laughable had it not said so much about where this whole trend is heading. I’ll leave out the names of other targets and speak firsthand from my own experience. After all, the thing that troubled me on social media recently was personal. It was an attack not made behind my back. It was said where I would see it. Nothing was new about seeing that. I also regularly get called a heretic. As unpleasant and bewildering as it is, that’s not the part that particularly disturbed me. The part that got me is that it came from 22 year-old young woman. Maybe she started young and really had done enough of the Bibles studies or read enough of the books to support a doctrinal evaluation like that. What is more likely is that she believes it because it’s what she’s heard from someone she respects. Or maybe she’s seen evidence with her own eyes through segments of video-teaching taken out of their original context and strung together in such a way to suggest a representation of an entire thrust of ministry. I don’t know exactly how she came up so confidently with that label so early in her adult Christian life but somehow she did. The tweet didn’t make me mad. It made me sad. I wanted to ground her and give her a homework assignment. Lest you go looking for her, I deleted the comment from my feed when I knew I was going to write this post. We’re not going to respond to unkindness with more unkindness. That’s not God’s way. Anyway, the odd thing of it is, I loved her immediately. My calling is discipleship and my focus is women. I want women plugged into churches. I want them continually sitting under pastors, shepherds, and teachers. I love to hear that women are studying in group environments but I also want them to study for themselves. Not just get spoon-fed what to think and not only about the Scriptures and the local church but also about the larger community of faith and those who serve within it. About the responsible use of voice. About what qualifies as a heretic. About mutual respect for their own brothers and sisters in Christ. About fair evaluations. Due diligence. I’m still very much on my journey, too. Such a long shot from arriving. I’ve woefully regretted things I’ve said and some things I’ve taught. All of us are on a learning curve in this culture entrusted to our care. But, as we learn and as we operate in these public forums where everybody has a voice, come, let us reason together. There is a mighty wide pond between “I line up with him/her” and “He/she is a false teacher.” Let’s think about wading through it. That’s all I’m saying. In a massive cross section of Christian voices on social media, the bottom has dropped out of an entire line of reasoning and way of relating to one another. I strongly disagree with _________________________ about _______________________________. I believe __________________________________ is unsound about ____________________________. Disagreement is not a qualification for declaring someone a heretic. Even vehement disagreement. As well, getting something wrong doesn’t automatically make a person a false teacher. If that were so, we’d all qualify at one time or another. There are vital elements that need to be considered, taught, and discussed among us in our Christian environments like what constitutes proper criteria for making claims of heresy and false teaching and what is orthodoxy? How do we wisely oppose and confront? How does Jesus say to handle it? What really are the deal-breakers? Of course there are false teachers! Of course there are heretics! Of course they must be questioned! Of course, people should be warned! Of course teachers of the Scriptures must be held accountable for what they’re teaching! My concern today is the disturbing trend of throwing dangerous labels around because of what we’ve heard and not what we’ve investigated fairly and properly. I realized several years ago that one of my most outspoken critics has never even cracked open one of the Bible studies. Not one. Doesn’t want to either. All there is to the entire ministry from his perspective is this: “she claims special revelation from God.” And, based on his summation, I equate these “special revelations” with the Word of God. Are you kidding me? He can say that from a distance but I do not believe he can make that claim close up. If he can, I’m the one that needs grounding. We are the Body of Christ. We are brothers and sisters. Even when we are utterly convinced the other person is wrong and we have doctrinal ducks in a row to prove it, we are never to treat one another “as an enemy, but warn him as a brother.” (2 Thessalonians 3:15) Yes, we must hold one another accountable and hold ourselves accountable. We question one another. We by all means keep discussing and debating and entering into healthy disagreements. But we stop short of labeling one another things like false teacher and heretic until we’ve done our homework. This isn’t a polished post. No time this particular day to make it so. But I offer it to you with one simple hope: that we’d be among those who take pause. Among those who consider ethics of speech to have an important place on our Christian platforms. Among those who think before we speak. It’s hunting season out there. Let’s be careful how we hunt. Hey, Everybody. I so appreciate you stopping by. You guys have really kept me busy this weekend moderating all these comments and entering into discussions both here and elsewhere. I have a taping this coming weekend and need to prepare four different teaching sessions toward it. It will keep my hands full every single day. We also have our big Scripture memory post coming up later this week here on the blog so we will be very occupied with those things. For that reason, I am going to need to close the comments at this point on this post. I’m the only one moderating this post and I am out of time. My attentions must now turn to preparation for the taping. I do want to tell you something though. This comment line has had value in my life and ministry. I want you to know that and I want to thank you. I am a thinker and you have caused me to think and to pray and to worship and to read and to reflect and to remember and to reconsider. Those are always good things. I love to learn and I promise you that as long as I live and breathe, I will seek to keep learning. It is doubtful that I will ever satisfy my harshest critics but I want to be a loving fellow-follower of Christ. Just as they do not line up with me, there are distances that I cannot go with them. I believe God can be more willing to reveal Himself in our day than some of my brothers and sisters do. I believe the New Testament well supports such a stand. It is easier and more controllable and comfortable just to say that He does not and it cuts out so much of the risk but I don’t believe we can control the Holy Spirit like that without ultimately quenching Him. We must test everything and hold fast to what is good. We all must stay in God’s Word, study it hard, pray, fast, memorize. The God-breathed Word recorded on the pages of Scripture is our Truth, our authority, our standard by which all else is measured. Nothing equates with the Scriptures: no word of knowledge, no prophetic message, no insight, no revelation, no dream, no vision. Nothing. That doesn’t mean they can’t be valid. The New Testament says they can. But they must never supplant or be placed on the same level with the Scriptures. The Word of God is how we test everything else. We also must keep subjecting ourselves to accountability and stay attached and approachable to a sound body of believers in a local church. And as we do, may God pour His Holy Spirit upon us. Profusely. Extraordinarily. Miraculously. We need Him and want Him desperately. May He renew wonders in our day. May He anoint us powerfully and shield us protectively. In John 5:39-42 Jesus confronted a group of leaders with words that have long since made the hair stand up on the back of my neck. He told them that they “diligently study the Scriptures” but went on to say, “you do not have the love of God in you.” It is possible to be a diligent, devoted student of the Word of God without having an ounce of His love in our hearts. Brothers and Sisters, let that be far from us. How we treat one another matters. Let’s not grow cold to one another even in our disagreements. Faith, hope, and love. These are the things that remain. I am honored to serve you and it has been my honor to host you this weekend here at the blog. Stay the course, everybody. Don’t grow weary. Jesus is so worthy. And it won’t be long until we see that glorious face. This entry was posted on Friday, January 9th, 2015 at 2:16 pm	and is filed under Uncategorized. You can follow any responses to this entry through the RSS 2.0 feed. Both comments and pings are currently closed. Dear Beth: I was so disheartened to read this article. I couldn’t help to think that the persons who would make these comments had never even opened one of your Bible studies. I have done all but the last study (soon to though)and I have found that you always stay true to scripture. When I began your studies one of the first thing that caught my attention is how much you loved the Lord. I said to myself, “I want that kind of love for my Savior”. You told us to pray for a love for Him and His Word and I began to do that. Through your studies I began to discover the wonderful treasure of Gods Word and I have such a love for Him and His Word now. I shared your studies with my daughter and used them to help disciple a new believer. Many lives have been changed because you allowed the Holy Spirit to work through you, and in doing so worked through me. I am one of those women whose life has been changed. Thank you for speaking on this subject. Thank you for always leading us to the scriptures. Obviously the enemy does not like the good things that have happened to women who have been introduced to the Lord through your studies. Love you Beth! May you be strengthened each day by the Holy Spirit to continue to proclaim the gospel. We won’t have this division in heaven! Glory Hallelujujiah!! You gotta do what you gotta do if the Lord says do it. His is the approval we seek, no one else. When we don’t have critics that’s when we should worry. God still converts hearts through the division his children cause. He’s bigger than all of us. The world needs Him, and for whatever reason he lets us think we have anything to do with getting the Word out. Oh, dear Beth, I’m so grateful for your post. I’ve seen some of the false and hurtful comments posted about your teaching over the years and am appalled. I’m a pastors wife, speaker, teacher, and author; I’m VERY conscientious about who I support and what Bible studies I use in my groups. Having said that, I keep coming back to your studies. I, too, have taught and written things I would now change, but isn’t that what grace and growth is all about? I think we grieve the Lord when we attack each other just as we are grieved when our children say hurtful things about each other. None of us is perfect in our teaching. Thank you so much Beth for your ministry and teaching us how to love the word of God and to search it out for ourselves. I also have heard in my own denomination a spiritual pride, denouncing certain ministries. It grieves me as I’m sure it grieves the Lord’s heart to see how those that call themselves Christians speak of each other. That would never be his heart. It saddens me to see it happen again here. I love seeing the journey the Lord has had you on and how you share it in a very real way without compromising or seeking your own glory but always directing our eyes back to our ultimate redeemer, lover, grace giver, savior, our Lord Jesus. As long as He is our focus and source, we can do all things through Him that gives us strength. Beth you have far more followers than critics. This saddens me greatly but keep pressing on for those of us that learn from you. You cant please everyone. Brush the negativity. As much as this hurt, it was used as yet another powerful lesson for your followers. I think many are confusing heresy with denominational differences. There are many believers that have theological differences, but, unless it’s a heaven and hell issue, i.e. teaching there is another way to have eternal life except through Jesus, can we just agree to disagree on the things that are not black and white? I just had this conversation with a young, fresh out of seminary, pastor’s wife. In her zeal for the Lord, she is camping on the wrong things (based on website/blog opinions) and causing more harm to the body than she realizes……labeling well respected, bible teachers “heretics”… I’m leaving her in the capable hands of the Holy Spirit. Believers do more harm to the cause of Christ than non- believers, at times! So grateful, God is in control! I do believe that we should be concerned when it comes to accuracy of scripture but I do not think Christ nor would our Father approve of brothers and sisters in Christ taking pot shots at one another. It is a sad day for the body of Christ. I am so sorry that this happened and I want to let you know that you are doing God’s work. My 74 year old mother finally confessed to me over Christmas that after years of attending church, she finally understood and truly accepted Christ into her life after doing your Children of the Day Bible Study. My mother was raised in a large but controversial religion as a child. My father and I have been concerned over the years that she harbored hidden false teachings. I live thousands of miles from my parents but agreed to do the study virtually so we could discuss it together. It was my first Bible Study by you. I had noticed a change in my mother but could not put my finger on it until she told me that she truly felt the Holy Spirit alive in her after this course. I was so happy and thankful. We are now doing your study of Daniel long distance and it is a wonderful thing. That you could help truly bring my mother to Christ (and she attends a great and biblically sound church) and break the hidden chains of her past religion is God’s work. I find these types of attacks amongst Christians saddening….and we wonder why more people are not drawn to us as Christians? Thank you, Beth. I’m now doing your SSMT, attending your Living Proof event in Seattle and planning my next Bible Study with you! You are a true daughter of the Day!! Thank you for all that you do!! Beth, I have participated in your James study and profited from it. I admired your excitement for the Word and your zeal for Christ. Many women in my church and small community are ardent devotees of you. Because of that, there are a few main things that I am concerned about. First, is the past visions you’ve related and all the problems that come with fellow Christians saying God is speaking messages audibly to them. The implication is that since God is speaking to you ‘we’d better listen and follow!’ I believe the canon of scripture is closed. Here is a transcription from a talk you gave some years ago. Secondly, I’m concerned about what appears to be your possible leanings toward future ecumenism with the Roman Catholic Church. In addition, I also disagree with your alliances with those in the “health, wealth, prosperity”/ Word of Faith Movement such as Joyce Meyer, Christine Caine, TBN, etc… I believe it gives this Teaching credence. These are all issues that stop me short of recommending you to my sisters in Christ. I feel unsure and uneasy about the direction you are going with your teaching. Scripture tells me to hope all things and believe all things and so respectfully I lay out my concerns (which are the shared concerns of many) in that you will consider and address them. May God bless and keep you. I do hear the respectfulness in your voice, Michelle, and appreciate it. It’s a Sunday afternoon and my husband just went out for a bit so I got on here to moderate for a few minutes. I do not have the opportunity to thoughtfully respond to each issue but I do want to say one thing about the portion you transcribed. I do indeed believe God is doing such a gorgeous thing in the Body of Christ even in spite of the bickering and hatefulness we see in many places. Huge barriers have come down and numbers of people from various denominational backgrounds are indeed trying to pursue unity or even willingly discuss what it might look like. However, I want you to know that, if I had that section to teach over again, I would not share what was on my heart with the same wording. The picture was unnecessary to the point and a naive thing to share. Pertaining to denominations, I, like most of us, do not believe that any denomination is saved. I believe individuals are and that they are saved one way only and that is through the blood of Christ Jesus. It is the gift of grace and not a result of works, as Ephesians 2 so clearly tells us. Those who trust in Christ Jesus for their salvation and receive Him as Lord and Savior are saved whether they are Baptist, Pentecostal, Catholic, Lutheran, Methodist, Presbyterian, or any other denomination. Those particular women on that platform had trusted Christ as their personal Savior. I knew that about them going into that session. Thank you for stopping by today. You will never waste a prayer on me or any other teacher. This you can know. I could not possibly take this calling more seriously. I will continue to seek Christ feverishly and will keep my face planted in the Scriptures. He is life and breath to us. First of all, I join all of the women who have thanked you for this much needed response from you as to this current “attack” on your ministry, motives and authenticity. I have been hoping for weeks that you would respond to all of the allegations that have surfaced in the past several months, and am most grateful that now you have. It comes as no surprise that you would be the object of negative social media remarks as well as personally hurtful and disrespectful comments. This isn’t about a 22 year old, a 60 year old, or a 90 year old man or woman….it is about a far more powerful prince of this world who will do whatever he can to sidetrack, stumble, humiliate or destroy you and the ministry He has entrusted you with….and I, for one, have expected this for some time, because I have had the amazing privilege of leading your studies (almost all of them, and many of them on numerous occasions) to women of all ages over the past several years. In fact, I have led women of all ages, stages, and journeys of life ..women in small groups ministering to their pain after the loss of a child….women of multiple denomination who needed “something more” in their spiritual journey and thought that they would accept my invitation to one of the many, many conferences that I have attended with these precious women (they’ve been in your studies for going on ten years now)….women who have experienced severe trauma in their lives……. The list is long, and the studies and conferences are many, and so I think that I am going to qualify what I am about to share as “living proof” that you have been instrumental through the work of God and the power of His word (not your power and you are always very clear on that) in not only mending the broken, picking the downtrodden up, renewing hope in covenant marriages, reigniting hearts that had grown complacent in the study of God’s word…..I could go on and on, Beth. I have been overwhelmed over the years to see how God has and is using you. I have wished on many occasions that you could see our small groups as they participated in the DVD studies as though you were in the room with them. On more occasions that I can recall….the DVD has stopped and no one can speak for several moments…..so moved by what God has just taught them through you. Oh my, my eyes are welling with tears now as I recall the moment I truly understood what should have been clear to me from the beginning. I applaud you for your boldness to go wherever and do whatever in the name of Christ and for the cause of His kingdom. I want you to know that I love you, precious sister, for how you love my Jesus and how you represent Him. I love you for always being humble in your place as His powerful instrument for such a times as this, I love you for how you make us all feel like we’ve been old friends forever…sharing your family with us (including the good and the bad)…most of all, Beth, I love you for persevering through this current storm with love, grace and humility. In all honesty, for those of us who may have become a bit slack in our instruction to always be discerning and wise….seeking God’s wisdom and leaning hard into His word, this has reminded us to be on our toes, and that is a good thing. Thank you……we are praying for you. Beth: You just said a “cotton pickin mouthful” of the truth! I am a writer and to be precise the web in a net of many Ungoverned thoughts without a brain’s momentary pause to the Golden Rule : Do unto others as you WOULD have them do unto you. It is the saddest thing in the world when people won’t crack open the Bible to hear one of the largest themes in the Bible spoken again and again,”THINK”. God said this to us so many times I literally lost count over 300 something in the first 1/2 if the Old Testament. My mother as long as I can remember said it over and over to impress upon us,”Think BEFORE you act”, “Think about how your words impact your target”, “Think! Is this what Jesus would have you say if He was the one talking?” I’m sure you’ve heard my mom’s goodies before because we live in a world of common sense, a world apart from acts of today. It has been my experience that you are a THOUGHTFUL and THOUGHT-FILLED woman of Christ. Like you it is down right frightening how un-Christ-like the behavior of labeling people is on the net and in texts. I loved your post, polished or not because you don’t mince words, just speak the truth you see. The truth is never mean, painful to us mortals yes for we are fallible with feet of clay (ALL OF US). Name calling or labels are shards of an opinion without thought. It implies a sliver of the real story, sad, hurt and lost, desperately in need of God’s love and our prayers. Blessings to You for Shinning The Light on a Sad Side of Life Today We All Need to Focus Prayers Upon. 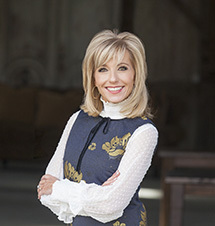 Beth Moore has does nothing but point me toward Jesus. We must test everything and hold fast what is good. We all must stay in God’s Word, study it hard, pray, fast, memorize. The God-breathed Word recorded on the pages of Scripture is our Truth, our authority, our standard by which all else is measured. Nothing equates with the Scriptures: no word of knowledge, no prophetic message, no insight, no revelation, no dream, no vision. Nothing. That doesn’t mean they can’t be valid. The New Testament says they can. But they must never supplant or be placed on the same level with the Scriptures. The Word of God is how we test everything else. We also must keep subjecting ourselves to accountability and stay attached and approachable to a sound body of believers in a local church.